Ganesh himal non touristy trekking trail in Nepal which is situated in central Nepal, northwest of Kathmandu.Ganesh Himal trekking offers many interesting ethnic groups a mixed of lifestyle offer you a glimpse into real Nepali life and this gives visitors an opportunity to observe the rich Nepalese cultural tradition from the closest quarter and intermingle with locals, hence giving the visitor a sense of satisfaction. Ganesh Himal trekking is recommended by many trekkers though it is not as popular as Annapurna and Everest where you will see beautiful Himalayan views including Ganesh Himal ,Tibetian Himal, Langtang Himalaya range , Rolwaling Himalaya range , Mansalu Himalaya range and an excellent habitat for a wide variety of plants and animals; 526 species of plants (including 40 species of orchids), and 300 species of birds. Other interesting wild animals are the Himalayan thar, gaur, many kinds of monkeys and musk deer. Ganesh Himal Gorkha trek is difficult level. 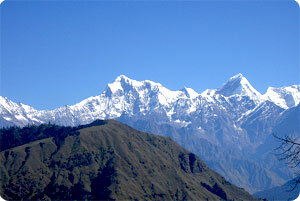 Ganesh Himal trekking requires trekking experience and a good physical fitness. Ganseh Himal trekking start from kathmadu by bus to Trisuli /Betrabati and end at Gorkha. Since Ganesh Himal trekking trail has been open Himalaya journey Treks and Expedition offers ganesh himal trekking who wish to make trekking in Nepal on non touristy trekking trail..
Himalayan sights: Ganesh Himal,Manaslu , Langtang Himal.